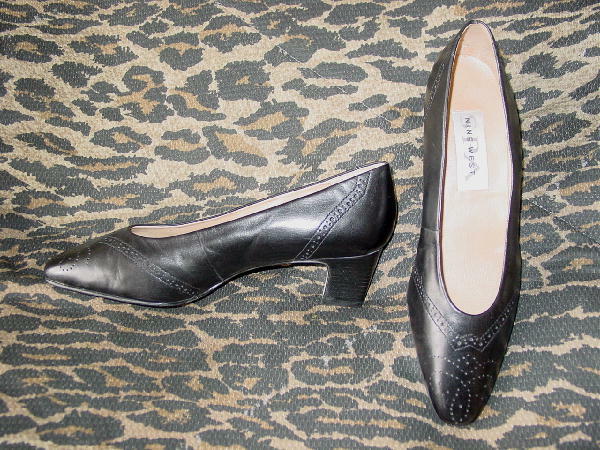 These black pumps have all leather uppers and are by Nine West Spa. They have manmade nonskid soles and were made in Brazil. They have a perforated line design, stacked heels, and light tan leather linings and insoles.